Of course it’s normal for children to be dependent on their parents to a certain extent, but a major part of helping them develop and grow is to teach them to rely more on themselves. Being able to complete tasks and make decisions independently can help kids cultivate a sense of self-confidence. When they’re able to do something on their own, they realize how awesome they are! This confidence and self-reliance might even help ensure a smoother transition into young adulthood. Whether it’s dealing with the pressures of post-secondary education, the responsibility of their first job, or moving into their first apartment; all will require some independence, so what better time to start thinking about cultivating that character trait than now! One of the best ways to instill a sense of independence in children is for them to attend an overnight camp. Here at Muskoka Woods, we’ve been leaders in youth development for 40 years, and we encourage guests to grow more independent through their experiences with us. Read on for six ways camp can help your child to develop their sense of independence. So, how can camp help your child become more independent? 1. Like every trip, it all starts with packing! Your pre-teen can start taking steps towards becoming more independent by packing their own bag for camp. What will they need? Have they looked at the checklist on our website to make sure they’ve got all of the essentials? Being responsible for choosing the only clothing and personal items that they’ll be able to access for a week or more is a great step towards autonomy. Younger kids might not be ready for that level of responsibility, but they can help to choose their own outfits (“do I want the red shirt or the yellow shirt?”) and to fold and place the items in their luggage. The physical act of participating in the packing activity may help them feel more “grown-up”, even if you still take the lead! Bonus: packing helps to build anticipation and get kids excited for the camp experience! It can get them thinking about using their new sleeping bag for the very first time, or how much they’ll love wearing their favourite sweater while sitting around the campfire. 2. 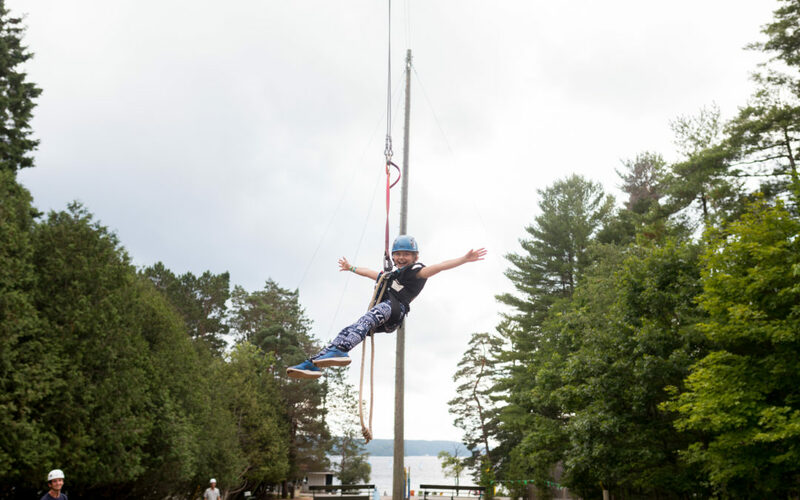 Simply attending camp is an act of independence. When your child steps foot on the property at Muskoka Woods, they are taking a step towards becoming more self-reliant. They’re away from home, and can’t depend on you to navigate the world for them or to provide all the things that you normally do! It’s inevitable that kids rely on their parents when they’re together as a family unit – that’s a normal parent-child dynamic. But when you’re not around, they begin to understand that they can’t always rely on you to provide or to take care of them, and they step up to grow more independent. Maybe they’ll try an activity that is physically demanding, or get mud on their shorts, or get a few mosquito bites – these are all challenges that they can face on their own and overcome in the safe context of a supervised environment, allowing them to grow in confidence and independence. 3. 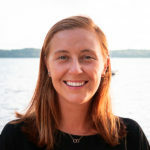 Muskoka Woods encourages a certain amount of freedom – and responsibility. Guests 9 years old and up have a sense of freedom as they navigate the property independently, all while under the supervision of our staff. They have to start to learn where the dining hall is in relation to their cabin – and they learn quickly! On top of that, guests begin to take responsibility for things they may not already be doing at home – for example, clearing the table after eating dinner. Having this type of accountability in a communal setting is a great way for them to build a sense of independence. They can perform tasks that have value for themselves and for others! 4. They make their own friends. When your child is in a new and unfamiliar place for the first time, they might feel uncomfortable or lonely at first. But this quickly disappears when they begin to see that others feel the same way! Guests are able to find some common ground and make friends – all on their own! Having the opportunity to make connections with peers in the context of a summer camp is a great way for kids to take initiative and actively seek a new friend – what an act of growth and independence! 5. Growing in their spirituality. At camp, guests have the opportunity to spend plenty of time in nature, and to sit around a campfire at night, or to look at the stars. This often provides a great context for kids to start asking bigger questions related to God and creation, and to really grow into their own understanding of the world as spiritual beings. 6. They learn more about themselves. Older guests, especially those taking part in the CEO program or staying at camp for multiple weeks consecutively, have more time to develop and grow into their independence. They spend more time caring for themselves and often participate in self-discovery during this time. The more that they understand about their own likes, dislikes, strengths and character traits, the more they can understand how to take care of themselves as responsible and independent teens. So, we’ve established that attending an overnight camp is a great way to help your child or teen develop more independence. But what about during the school year – how can you maintain, or even grow, that independence? Your family has a busy schedule, and parents have a lot on their plates! Let them have some control over their own schedule. Rather than reminding your child of where they need to be and when, why not give them some accountability? You might make a chart together and ask them to check it and remind you of their appointments and extra-curricular activities. If they’re too young to be fully responsible for their own schedule, ask them to check the chart when you’re getting ready to leave the house so that they know where they’re going and why, and become used to maintaining a schedule. Ask them to take personal responsibility at home. Children are very capable of cleaning up after themselves; often very young kids are even eager to help with housework! Having your kids take care of their own “stuff” helps to foster independence and important life skills – but what should they do? Younger kids can help fold and put away their clothes, tidy their room and make their own bed, while pre-teens and teens can wash dishes, do their own laundry, and even cook a meal for the whole family! Helping to take care of things around the house teaches kids the necessary life skills to live on their own, and if they have siblings, working together to accomplish household tasks can help them to become interdependent and gain a sense of camaraderie and community living. Let them walk or take transit to school with a friend. If your child is a pre-teen and already has some degree of independence, you might consider letting them walk to school with a friend or sibling. This only applies if it is safe to do so (the route doesn’t involve crossing any busy streets) and of course if you’re comfortable with it. Don’t live within walking distance? Maybe taking public transit is an option for your family. Take a pilot trip together on the route and make sure they are confident in making any necessary transfers and paying the fare! Again, this is only a good idea if both you and your child are ready and comfortable with it. Leave older kids home alone rather than hiring a babysitter. Is your child ten years of age or older? St John’s Ambulance offers a checklist on how to know if your child is ready to stay home alone, and the Canada Safety Council offers a course to prepare your child to stay home without you for short periods of time. This can be a tricky one and of course your child shouldn’t stay home alone if you’re not yet ready as a parent for them to do so, but it is an important step for your child to grow more independent when they’re ready for it. Being independent is a major part of adulthood and it’s not something that happens overnight. It’s a character trait, a life skill that takes years to develop, and it happens differently for everyone. With that in mind, it’s important to take it slow, work towards developing independence in your child as they’re ready, and most of all to be patient – with your child and with yourself! Great articles, quizzes and podcasts right in your inbox so you'll never miss out on over 40 years of youth development experience.